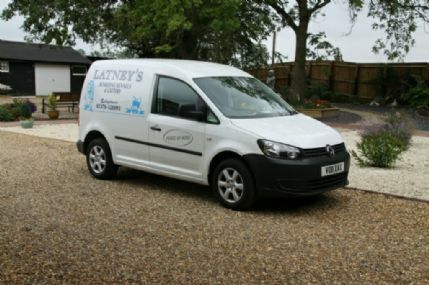 Latney’s Boarding Kennels and Cattery is a small family run business. We treat all our guests as if they were our own and try to make their holiday at Latney’s as pleasurable and exciting as possible in a safe and happy environment. We are situated in a beautiful countryside setting, just on the outskirts of Witham in Essex. The kennels and cattery are perfectly sized allowing personal individual attention to the cats and dogs. The dogs are exercised 6 times a day. We acquired the site in March 2010 and have been running the Kennels and Cattery since 1998. Latney’s have a workforce of 14 full time staff who are skilled and qualified in the kennel environment for general welfare of the dogs and can administer medication and will ensure the guests have the most enjoyable stay. We have extensively updated and modernised the complete site and we have added 24 Hour CCTV recording, security fencing, electric entrance gates and rebuilt the cattery complex complete. We have a grooming parlour on-site which specialise in dog grooming, giving a high quality service to dog owners over Braintree, Chelmsford, Colchester, Witham and surrounding areas. Dogs can be bathed, clipped, brushed, have their eyes and ears cleaned, nails clipped and also special coats like wire hair can be groomed. If you are interested in our grooming service or maybe have your loved one groomed before they return home after their stay then contact us for more information. All dogs have a complimentary bath before leaving Latney’s. Latney’s are a fully licensed kennel under Braintree District Council. There is no need to make an appointment to view the kennels or cattery just turn up during our opening hours as all kennels and cattery are clean at all times. Please contact us on 01376 520093 or use the links above for more of any service we offer. We specialise in dog grooming giving a high quality service to dog owners over Braintree, Chelmsford, Colchester, Witham, Maldon and surrounding areas. Grooming is a vital part in the well-being and healthiness of a dog which can improve their lifespan. All breeds require daily grooming, how much depends on the breed, age, or health of the pet. Regular grooming helps to ensure the dog is healthy and comfortable. It is important to note that while many dogs shed, others (such as the Poodle), do not shed (see Moult) as profusely and require grooming by a professional every 6–8 weeks maximum.